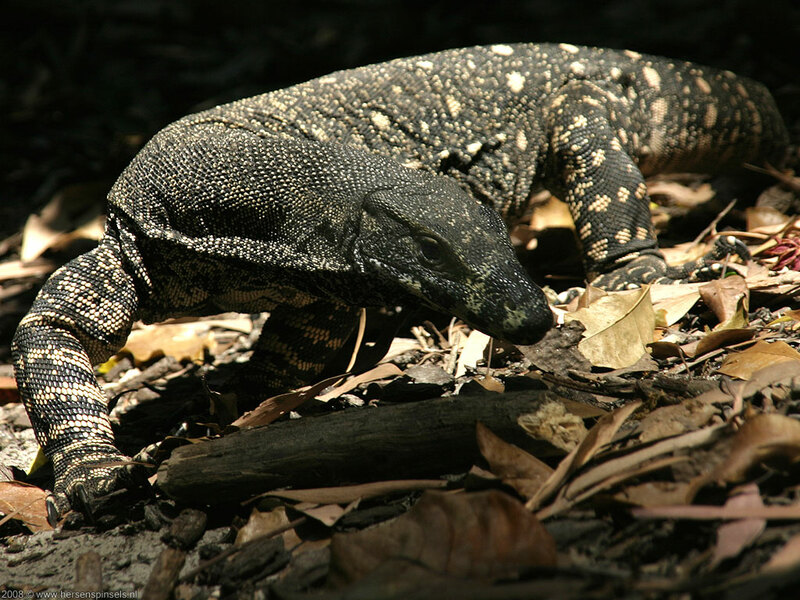 A (lace) monitor roaming the forest floor at the Cape Tribulation Beach. We are not sure about the kind if monitor lizard photographed. If you recognise the species, please let us know. The animal was about a meter (3 ft) long.